← Yay! We’re Almost as Rich as We Were in 1998! One can only wonder what the bank’s public relations whizzes will think of for the 2016 version. We know now that, over the past five years, more than five thousand Wells Fargo employees illegally opened more than 1 million bank accounts and applied for hundreds of thousands of credit cards on behalf of existing customers—all to meet aggressive “cross-selling” targets set by bank executives. At the moment, we’re not exactly sure who knew what and when they knew it. 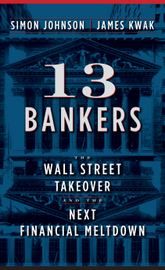 But as with the rest of the once-shocking-but-now-mundane banking scandals of the past decade—the London Whale, fixing LIBOR, manipulating foreign exchange markets, money laundering, and so on—either the bank’s top executives were unaware of what was going on, which is recklessly incompetent, or they were aware of it, which is worse. Now, there actually are businesses that do put their customers’ interests first, at least almost all of the time. I used to work at one. At Guidewire Software, our primary goal in everything we did was to make our customers successful using our software. If we did that , we believed that everything else would take care of itself. This was a sensible strategy, for a few reasons. We were selling big, expensive software systems to large property and casualty insurers—a relatively small world in which everybody knows everybody else. One failed project and our reputation would be seriously harmed, perhaps fatally. The industry had seen a long succession of large and costly software project failures, in which companies spent tens of millions of dollars and had little or nothing to show for it. Promising that we would move heaven and earth to make our customers successful—and actually doing it—was a way of differentiating ourselves from the competition. Finally, we knew that each customer relationship would last for years and years, through upgrades and additional sales of new products. For us, “the customer” was, in each case, a group of real people with whom we had real relationships. And when you know people personally, you genuinely want them to succeed. Wells Fargo is not that kind of business. For Wells Fargo, as for any megabank, “the customer” is not a person—it’s a dataset, with means, medians, correlations, and metrics, like “cost of acquisition” and “churn rate” and “marginal profitability of product X.” Yes, customers matter, but in the generic sense that applies to all businesses: customers are where the money comes from. This is what those magical words cross-selling mean to bank executives. And the idea that you can continuously increase profits by pushing more and more overpriced junk onto the same set of suckers is music to the ears of investors. But if your story is based on cross-selling, you need to provide numbers to back it up—like the number of products per customer, the number of customers with more than one product, the percentage of deposit account customers with a credit card, and so on. To get those numbers, you set targets for tens of thousands of frontline employees . . . and we know how that story ends. The irony of the cross-selling story is that it isn’t actually good for customers. There are business models that are good for a company and its customers. In fact, that’s the usual state of affairs: you pay $5 for a taco that your local taco truck made at a marginal cost of $2 and is so delicious that you would have paid $8 for it. Everyone wins. But if you buy all your financial products from the same bank, the only winner is your bank. Wells Fargo probably has perfectly good checking accounts, with big ATM networks, online systems, and fancy smartphone apps. But you should get your credit card from whoever charges the lowest interest rate or offers the best rewards; you should get your mortgage from whoever charges the lowest rate, without hidden fees and penalties; and you should invest your money with Vanguard (or some other fund management company that has low-cost index funds). Banks like to talk about the advantages of “one-stop shopping,” but in the age of technology there really aren’t any. You can set up automatic payments from one institution to another, and that’s that. Cross-selling is one of those strategies that generates profits not by providing better tacos to taco lovers, but by taking advantage of existing customers’ limited attention to sell them mediocre products that they wouldn’t have chosen otherwise. So, yes, Wells Fargo is focused on its customers—but not in the sense that they care about the people who use their products. The Customer is a story to tell Wall Street in order to prop up the stock price for as long as possible.People who have Wells Fargo accounts are the ore that has to be mined for golden nuggets of data to embellish that story. That’s the only sense in which Wells Fargo puts its customers first. This entry was posted in Commentary, syndication and tagged Banking, business, Wall Street, Wells Fargo. Bookmark the permalink. Will there be a “criminal investigation”? Five Thousand employees for Five years, and no one outside ever knew anything outside or under any measure of accounting standards. Everyone is so shocked! The economy continues to churn daily in suspended recriminations, and my bet is that there are 50 thousand people out there wondering if this will end up “rocking the boat’ for them as well. Apparently open secrets are par for the course in business as usual. Of course the fact that we just went through a critical evaluation of economic ethics by sideline professionals and honest practicing economists should not be questioned as to its critical authenticity just because this little glitch slipped through so long. Insidious austerity, stealth creaates wealth for some ever since the great treasury looting first ‘bailed out’ the economy and put us all in debt, and got clean away with the biggest heist in all of history. So why should this petty theft be such a shocking surprise? Maybe because it flies in the face of presumptions that are sold to us in the era of trump and dump. As the eve of the debate approaches, lets not lose sight of the fact that this country has never been, or looked more weak than it currently is, the strength of your country is directly dependent upon the strength of its leaders, and we all know well by now that a country’s leaders will go to great troubles to hide their weaknesses from its citizens, think Roosevelt and Kennedy. This gvt has created a predicted monster which it can no longer control. Its own citizens, other country’s citizens are now hating it, and all we can get from these two is a promise to increase the military spending and never address entitlements as the end of all answers. ….Can you imagine if we all packed into a trump hillary debate, and a fight broke out between the candidates? Neither one of them are strong enough to push the other one down, and the only weapons they have at their disposal are some pencil thin mics, the two of them beatin up on each other with a couple of pencil thin micrphonies. Oh, it has become a pitiful nation indeed, being prepped for slaughter.